WASHINGTON (AP) - A top economic adviser to President Donald Trump said he's come under "enormous pressure" both to quit and to remain at the White House following the administration's widely criticized response to violence at a white nationalist rally in Charlottesville, Virginia. White House economic adviser Gary Cohn said in an interview with the Financial Times: "As a Jewish American, I will not allow neo-Nazis ranting 'Jews will not replace us' to cause this Jew to leave his job." Cohn said he was reluctant to leave also because he feels a duty to his job. But, he said, he felt "compelled to voice my distress" over the Charlottesville incident, adding "citizens standing up for equality and freedom can never be equated with white supremacists, neo-Nazis, and the KKK." Trump initially said "both sides" were to blame for the violence in Charlottesville. He later blamed the media for the condemnation of his response to the violent protests, saying in Phoenix he'd "openly called for healing unity and love" in the immediate aftermath. Cohn told the newspaper that the Trump administration "can and must do better in consistently and unequivocally condemning these groups and do everything we can to heal the deep divisions that exist in our communities." Cohn, the director of the National Economic Council, outlined the administration's upcoming push to overhaul the nation's tax code in the interview. He said the bill could be passed in the House and Senate in 2017, pushing back the administration's timetable for a bill to reach the president's desk. The White House had said previously that it expected final passage in November. 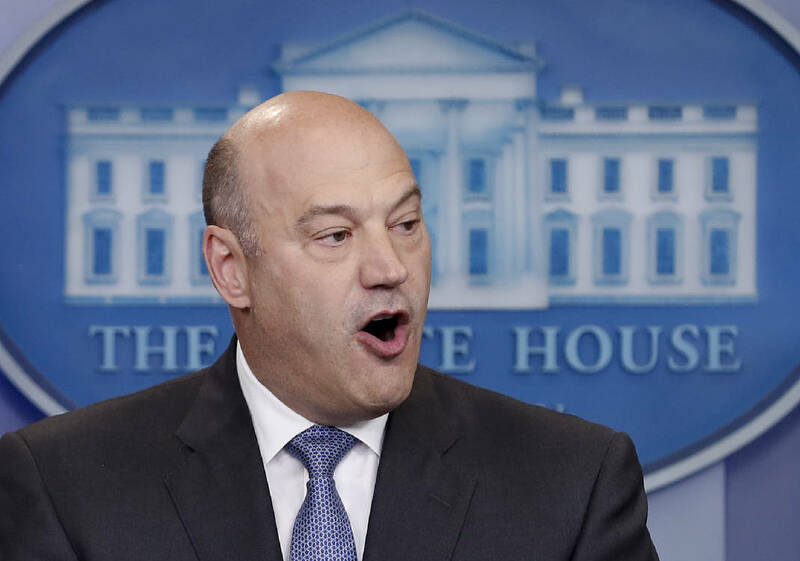 Cohn said the tax overhaul is the White House's "number one focus right now" and said the president will be making a major push for changing the nation's tax system beginning next week. Trump is expected to rally support for a tax overhaul at an event next Wednesday in Springfield, Missouri. Administration officials have argued that lowering personal and business tax rates would generate millions of jobs and spur faster economic growth.